Another division rival this week at Lambeau Field. I see the Packers remaining focused and not looking past the Vikings. There will be plenty time for that after the game. Christmas Eve: The Mustard Seed will be open and doors opens at 9:00 AM for the game. Kickoff is at 10:00 AM on Saturday, December 24th. Remember at half time we will have our Sponsor giveaways for club members that are present. We also will be holding our charity raffle as we do every game day. The Mustard Seed continues to do an amazing job every game day to provide us with a great game day experience. GO PACK! Christmas Eve: Cheers will be open and doors opens at 9:00 AM for the game. Kickoff is at 10:00 AM on Saturday, December 24th. Please check out the charity raffle today! Be sure to get their early to support your team and secure a great spot!! We also will have our Sponsor giveaways at half time for club members that are present. See you all Saturday! GO PACK GO! Remember that the Mustard Seed opens at 9:00 AM for 10:00 AM games Seattle time! Please remember that The Mustard Seed does an amazing job each and every game day to provide us with a great game day experience. We also will have our Sponsor giveaways at half time for club members that are present. SWAP MEET – Tomorrow, Sunday December 18th, is our Annual NWPB Swap Meet. Please see below for details! Today, when the Packers play the Bears! For those who wish to partake here are the rules…Bring your new, slightly used Packer items that you no longer wish to have and bring them to SWAP with another Packer item! So if you bring a Packer item, you can then take a Packer item. If you do not bring anything, you won’t be able to participate. Check out the charity raffle today! Be sure to get their early to support your team and secure a great spot!!!! GPG!!! See you Sunday! We also will have our Sponsor giveaways at half time for club members that are present. See you all Sunday! GO PACK GO! Hello Packer fans and NWPB Club Members….Here is what you need to know about Sunday’s game against Seattle. Seating: The Mustard Seed will start seating Packer fans for Sunday game by 11:30 am. So please do not arrive before then. This provides the Mustard Seed the needed time to get things setup for us and not be rushed. This also prevents Packer fans from being inconvenienced if we were to arrive too early. Please remember that The Mustard Seed does an amazing job each and every game day to provide us with a great game day experience. We also will have our Sponsor giveaways at half time for club members that are present. Local News: King 5 TV will be joining us today at the Mustard Seed today! This is a reminder that this Sunday that Keri-Anne and Angel have a special treat for the first 24 PACKER fans that show up!!! Be sure to get their early to support your team and secure a great spot!!!! GPG!!! See you Sunday! We also will have our Sponsor giveaways at half time for club members that are present. 2016 NWPB Packer Season Kickoff! Well Packer fans it is time for us all to kick off the 2016 Packer football season. I know we all are ready! Here are is some information for Sunday for everyone. We are doing signups at both locations and everyone will be able to get the NEW NWPB club shirt. We some giveaways tomorrow for club members and great stuff for our charities raffle. Kick off time is 10:00 am Seattle time at both the Mustard Seed and Cheers! We look forward to seeing you all and kicking off the brand new football season. If anyone has any questions please send us an email at nwpackerbackers@gmail.com and see you all there! GO PACK GO!! Where to view the remaining Packer Preseason games! All remaining Packer preseason games will be shown live on the big screen with plenty of sound at the Mustard Seed. Listed below is dates and kickoff times. The kickoff times are listed with Seattle times! See you all there!! GO PACK! Football is finally here for us Packer fans! Here is an update for this weekend. Please see below. Saturday, August 6th @ 4 pm (Seattle time) – Hall of Fame Induction of Brett Favre! As I mentioned at the Annual NWPB picnic we will be getting together to view the Hall Of Fame Induction. We kick off the 2016 football season with our Packers taking on the Colts in the HALL OF FAME game. Look forward to seeing you all there!! The ceremony will be shown at Cheers so if you wish to show up and watch with other Packer fans, you know where to go! The Packer-Colts NFL HOF game will be also shown at Cheers as we kick off the 2016 football season. See you all there. Hello Packer fans! The Northwest Packer Backer Annual Picnic is being held this Saturday, July 30th starting at 12:00 pm at Lake Samammish State Park. (Click link for map). Just look for our Northwest Packer Backers banner! Come join us for an old fashioned Wisconsin style Picnic! Please bring your dish to share, some meat to cook as we like to do our picnics Wisconsin style and have a great potluck!! BYOD! The club provides the charcoal, utensils, plates, cups, silverware, napkins and condiments. 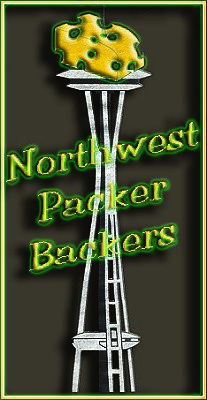 The Northwest Packer Backers are celebrating our 26th year here in the Pacific Northwest! Let’s kick off the 2016 NWPB season strong and see you all at the picnic. We look forward to a great season by our Packers and training camp has begun, let the discussion begin! Additionally all preseason games will be shown LIVE at the Mustard Seed Pub and Grill. If anyone has any questions, please email us! Last season was a little tough with the injuries and the offense not playing to the level we are use to seeing over the past 10 years with McCarthy as the coach. Now that free agency is here we could see the Packers sign maybe a second tier free agent, but with TT as GM that may or may not happen. Which brings us to the draft we will be getting together in our off season activities for the draft as well. Listed below are the upcoming events and meetings for the Northwest Packer Backers off season. Please make sure to mark your calendars! We will be also emailing Sponsors / Club members as well. Additionally, there will/may be more upcoming events, so please keep your eyes on NWPB Website and Facebook. 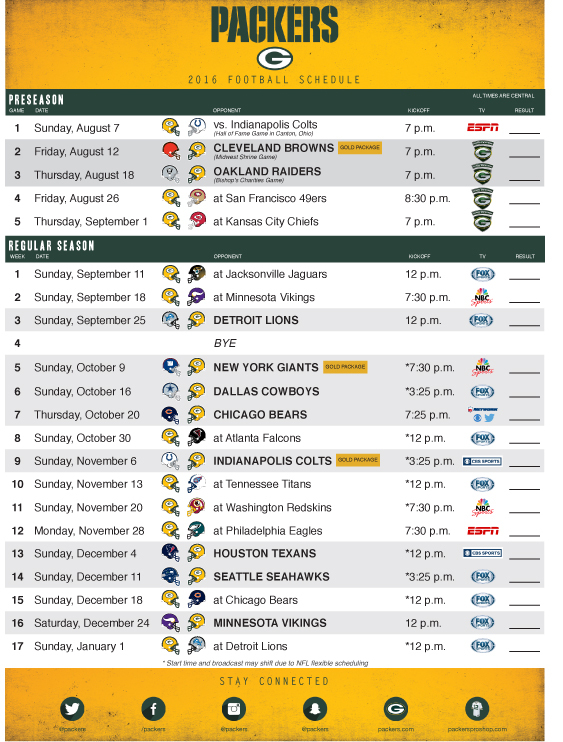 Hello Packer fans and NWPB Club Members…. Here is what you need to know about this Saturday’s playoff game against Arizona. Kickoff is at 5:15 PM Pacific time. The AFC Divisional game starts at 1:35 pm football games are generally 3 hours long, so that means that the game should end about 4:35 pm. Please see below for details. We do recommend arriving at least 90 minutes prior to kick off to allow you to get your seating of choice! We will do our best to accommodate as many Packer fans as possible, but we do expect all Packer fans to show their kindness and courteousness to the staff at the Mustard Seed and other patrons! Ken and his staff at the Mustard Seed continue to give us a great game day experience for all of us Packer fans to enjoy! Here is some helpful information for Packers fans. 1) We will be the only playoff game starting, with a 5:15 pm kickoff. 2) The game will be shown on all TV’s in the Mustard Seed. 3) We will have sound of the game throughout the Mustard Seed. 4) There will be plenty of seating will be available throughout the Mustard Seed. 5) We will continue to have our charity raffle. If any Sponsor/Club Member has any questions, please email us at nwpackerbackers@gmail.com & we look forward to seeing you all! GO PACK! There will be plenty of seating available & recommend arriving about 4:30 PM to be able to watch and enjoy the pregame. Kickoff is at 5:15 pm. We look forward to all of you who do join us for the game! We will continue to be at Cheers as long as the Packers are playing in the playoffs. GO PACK GO! See you all on Saturday, January 16th! GO PACK GO!